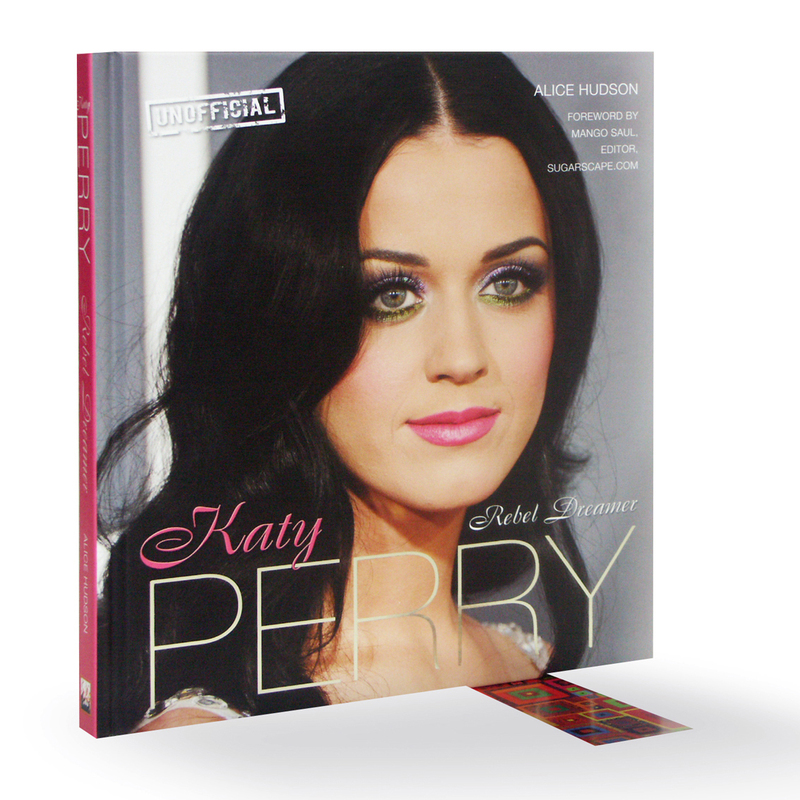 The visually stunning Katy Perry: Rebel Dreamer is an unofficial biography by Alice Hudson. Katy Perry is adored by a huge online community and has sold more than 22 million digital tracks and mobile products worldwide. Having rocketed from sheltered, gospel-singing teenager Katheryn Elizabeth Hudson, to international pop goddess, who kissed a girl and liked it, Perry wows the world with her outfits (crazy, provocative, fruit-themed, vintage), straight-talking lyrics and crackling energy. If you love Katy then you gotta get this – the ultimate celebration of this girl’s talent, beauty and wow-factor, with lush pics and inspirational words – a must-have for all fans.